Longtime Tribune, Kansas resident and former Sharon Springs, Kansas resident, Tillie Rocha O’Leary, passed away on Friday, October 26, 2018 at the Greeley County Long Term Care Center. She was 86. Tillie was born on May 4, 1932 in San Antonio, Texas to Anastasio and Brigida (Cuevas) Hernandez. She was one of five children. She attended school through the 3rd grade. On November 25, 1952, Tillie married Juan Rocha in Plainview, Texas. To this union six children; Ted, Martina, Juan, Lupe, Antonio and Rosa were born. On November 11, 1978, Tillie married Paul O’Leary in Sharon Springs, KS. Tillie worked for many years as a custodian in the Greeley County School System. 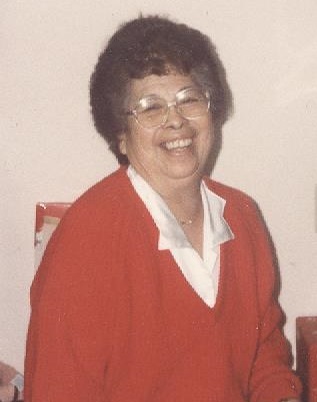 She enjoyed gardening, crocheting and spending time with grandchildren. She was a member of the St. Joseph Catholic Church in Tribune. Preceding her in death were her husbands Juan Rocha and Paul O’Leary, one son Juan Rocha and one sister and three brothers. She is survived by her five children; Ted Rocha of Garden City, KS, Martina (Marvin) Urban of Colby, KS, Lupe Rocha of Wichita, KS, Antonio Rocha of Garden City, KS and Rosa (Jon) Patton of Tribune, KS. She is also survived by eight grandchildren and five great grandchildren.